I enjoyed my stayed here very much! Its clean, quiet, and the staff is very friendly . I enjoyed the complimentary breakfast too. I will be returning back soon. Lovely courtyard garden, quiet, convenient coffee and toast and fruit in the morning. Super friendly fellow guests who included us in a bird watching boat tour! The courtyard is a tropical paradise. The management and owner are outstanding. The kitchen is agreat bonus. Excellent smalll kitchen unit. Clean. Eco-friendly. Great English-speaking staff. Room was large and kitchen was a bonus that we didn't use much. Proximity to restaurants and shopping center was great. Also, being close to malecon and bus service were appreciated. Garden across from doorway, library and breakfast room were all highlights. Everyday day we met new, interesting people, including Sichem and his family. Availability of bicycles for free. The property is lovely, charming and well-maintained. Enjoyed sitting out in the courtyard patio Nice to have opportunity to recycle our trash and throwaways. 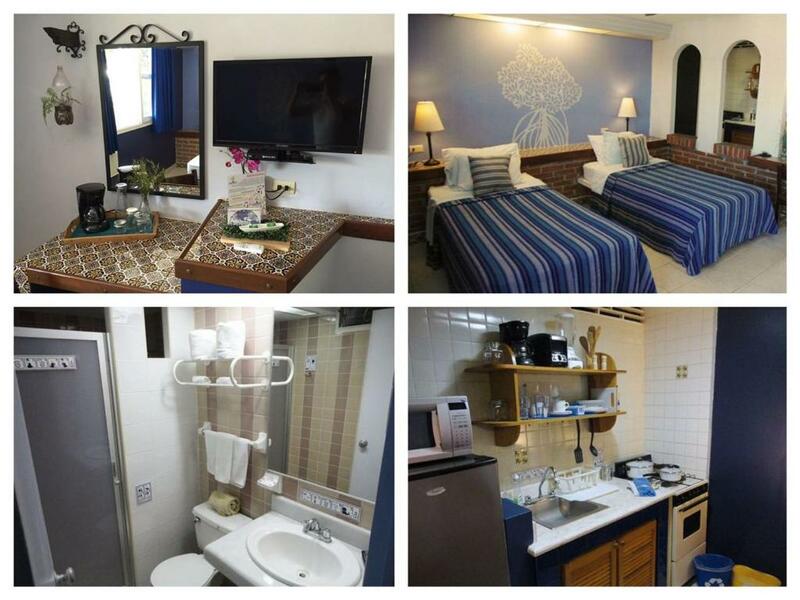 Located close to Malecon and local shopping and restaurants. Having bikes available to use was an extra. 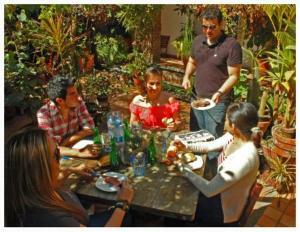 Lock in a great price for Suitel 522 Eco Hostel – rated 9.4 by recent guests! 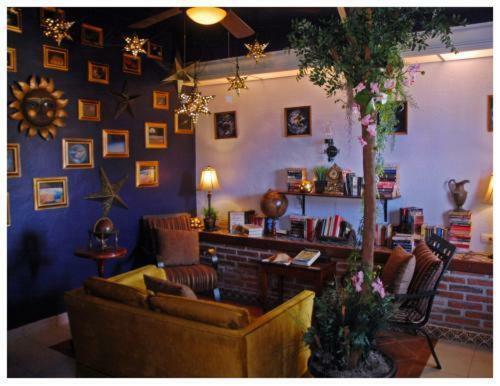 This boutique hostel is located in Mazatlán, just 1,000 feet from the beach. 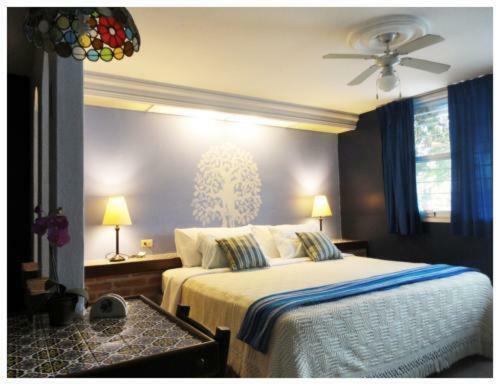 It offers a small gym and air-conditioned suites with free Wi-Fi and cable TV, set around a charming courtyard. The suites and studios at the Suitel 522 Eco Hostel feature a sofa or sofa bed, as well as a kitchenette with a hob and microwave. Each one comes with a private bathroom. The Suitel 522 has a barbecue, as well as several lounges with sofas and a TV. The hostel is eco-friendly, with much of their electricity generated by solar panels. You can hire a bicycle from reception, and there are laundry and dry cleaning services available. General Rafael Buelna Airport is around 25 minutes’ drive away. 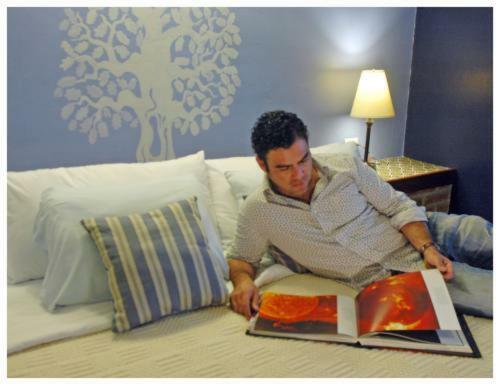 This property also has one of the top-rated locations in Mazatlán! Guests are happier about it compared to other properties in the area. 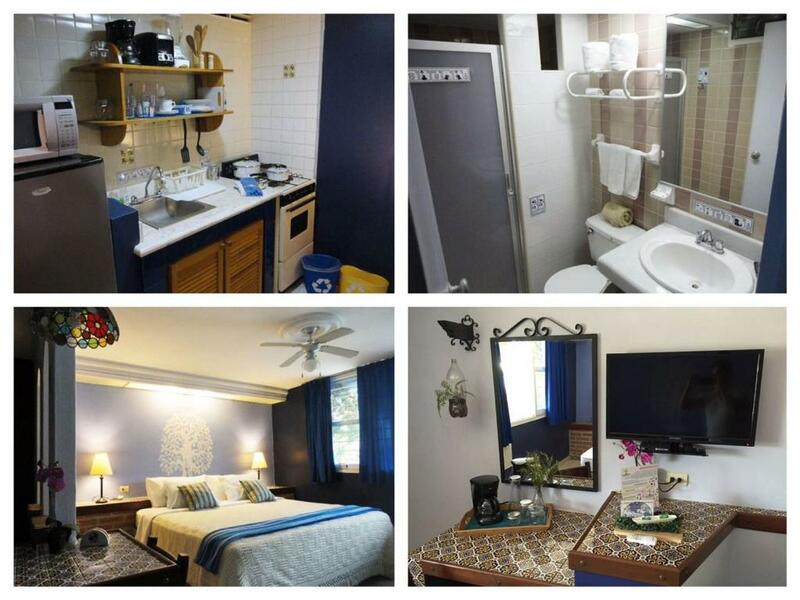 This property is also rated for the best value in Mazatlán! Guests are getting more for their money when compared to other properties in this city. 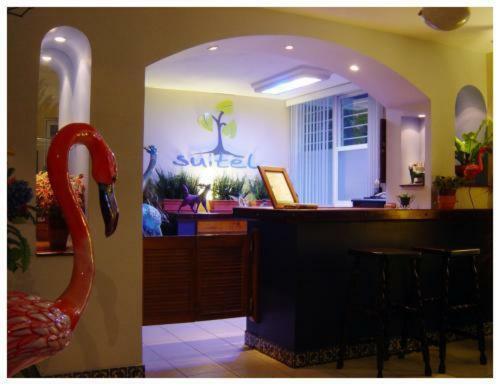 When would you like to stay at Suitel 522 Eco Hostel? This air-conditioned room features free Wi-Fi, cable TV and a kitchenette with a hob, microwave and coffee maker. There is also a sofa bed, a work desk and a private bathroom. The idea of an EcoHostel is to spread the word of advice of how small actions can mean a huge difference in terms of giving the planet a break. I am a product designer who loves cooking and traveling, as well as a particular interest on gardening and teaching others about it. This is a peaceful residential neighborhood, the beach is 3 minutes away walking; there is a supermarke close by; the main public bus routes stops that connect you to all the city are just blocks away; drugstore, beauty parlor, bakery, banks, restaurants, gym, yoga spot, among other shops are near us. 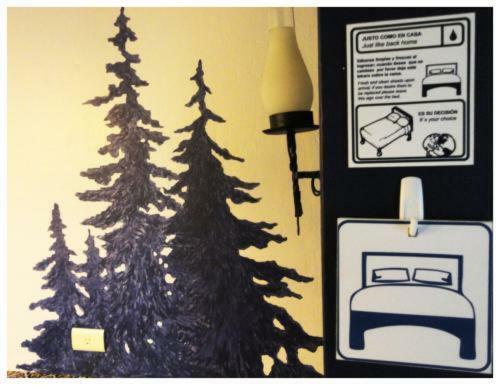 House Rules Suitel 522 Eco Hostel takes special requests – add in the next step! Cash Suitel 522 Eco Hostel accepts these cards and reserves the right to temporarily hold an amount prior to arrival. Suitel 522 Eco Hostel accepts these cards and reserves the right to temporarily hold an amount prior to arrival. Please let Suitel 522 Eco Hostel know your expected arrival time in advance. You can use the Special Requests box when booking or contact the property. Please inform Suitel 522 Eco Hostel of your expected arrival time in advance. You can use the Special Requests box when booking, or contact the property directly using the contact details in your confirmation. Nice breakfast. Sichem, the host, was extremely hospitable. I had a van full of personal belongings and he let me park at his personal gated home parking spot. I found my bed too hard! Noisy room (street just next to it) in the morning, quiet at night. Great staff and attitude, eco hotel, thank you! Bicycles for free! Beds are quite hard. Could have been closer to Old Mazatlan? Some mold on shower tiles. Breakfast could use some protein. Only two bicycles available. "Breakfast included" but is very light offering--just instant coffee, tea, bread, jam. Very friendly and accommodating staff. Great location and so beautiful green courtyard. Room was very comfortable. Great value for money!